Curls are always having a moment at Glasshouse Salon. We have a loyal brigade of ringlet-haired clients who know their hair type back to front and trust our stylists to tame, tousle and enhance it. However, natural curls have a life of their own and we can’t think of many people who embrace their full head of spiralling hair more than Danish model Frederikke Sofie. Frederikke is the epitome of low maintenance cool - think Scandi fresh-faced-ness mixed with a good dose of New York street style. We like her best when she’s sporting geeky specs, oversized shapes and chunky, masculine footwear. Scouted at a concert in Copenhagen when she was 14, Frederikke has since made her way up the model rankings, shooting with the likes of Patrick Demarchelier and David Sims and being a campaign girl for perennial off-duty favourite Celine. With such a mature style and a real head-on-her-shoulders approach to modelling (“For me it’s an opportunity to learn to take of yourself, grow up quickly, travel the world, make friends and earn money at a really young age” she’s been quoted saying), we can’t quite believe that Frederikke is only 18 years old. The only slight give away (and something that makes us love her even more) is the fact she still gets her mum to cut her hair a couple of times a year when she’s back in Copenhagen. Handy. We’ve spoken before about working with your natural texture, as opposed to fighting against it and we’ve also mused over the ‘less is more’ direction that hair and beauty seems to be heading in. Frederikke encapsulates both with total ease and is a bit of an antidote to over-the-top Instagram-glamour and fussy fashion - you’d be more likely to see her in a pair of men’s suit trousers and a cosy roll neck. So, there you have it, curl advice and a Danish dynamite with a blonde curly mop to rival the best of them. We can’t wait to see where Frederikke takes her mane next. 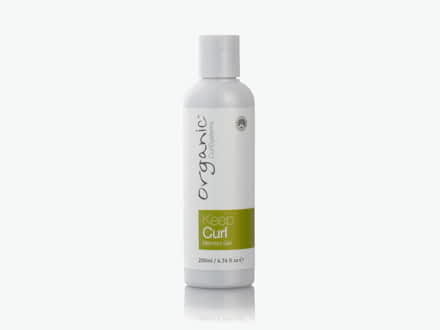 A good dollop of this bestselling Memory Gel from Organic Colour Systems will keep curls looking defined and feeling super nourished. 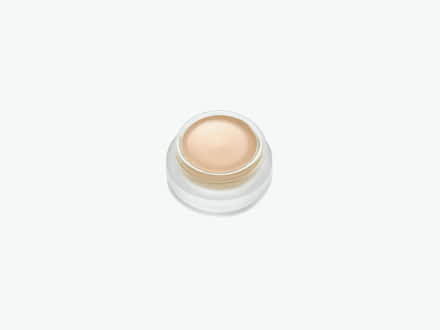 For skin that’s lit from within, we’re suckers for RMS. Their “Un” Cover-Up is the perfect alternative to clogging foundations - it cares for the skin and offers coverage where needed. 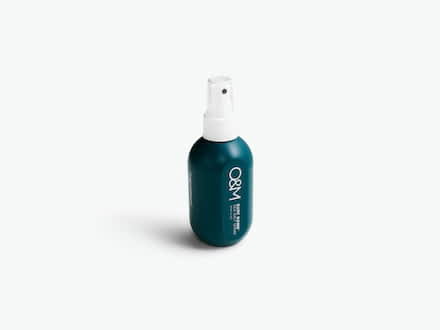 For that extra boost of texture, we like a lightweight salt spray like O&M’s Surf Bomb to add grit and oomph. Spritz liberally!